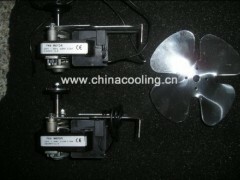 5W-34W, 220V, 50/60HZ 1300-1550RPM, Single phase. Use in refrigerators, heaters, etc. Please provide us your detailed specification, and then we can quote the best price for you.